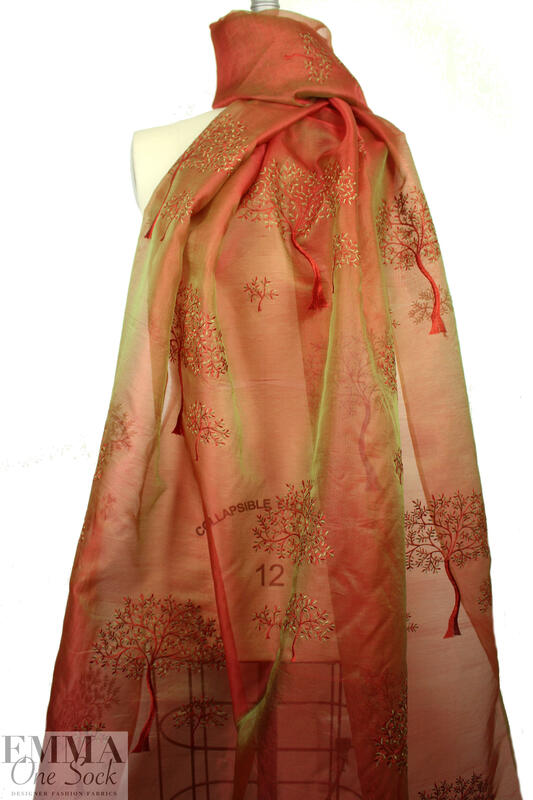 From a NY designer, this embroidered silk organza is just exquisite! The base fabric is a cross dye of terracotta and leafy green for an irridescent effect that it quite beautiful. 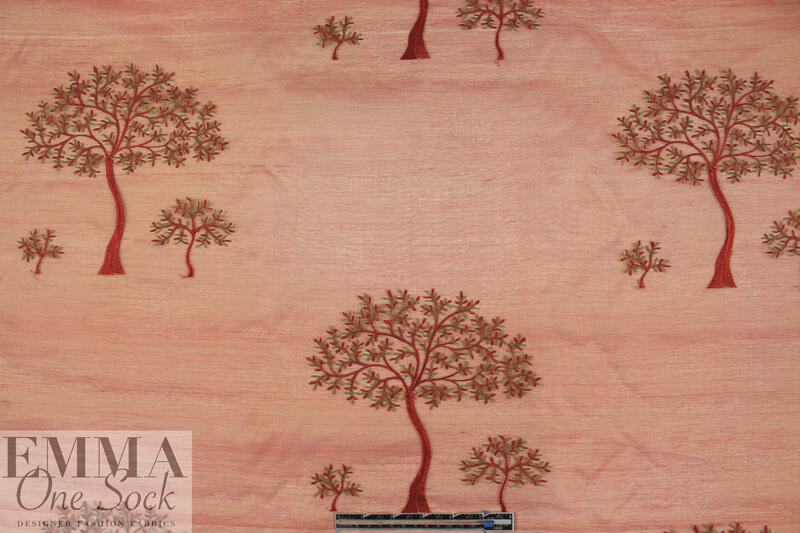 The tree embroidery (15.5" repeat) picks up the two colors in a lovely intermittent design (PANTONE 18-1343, 16-0123). 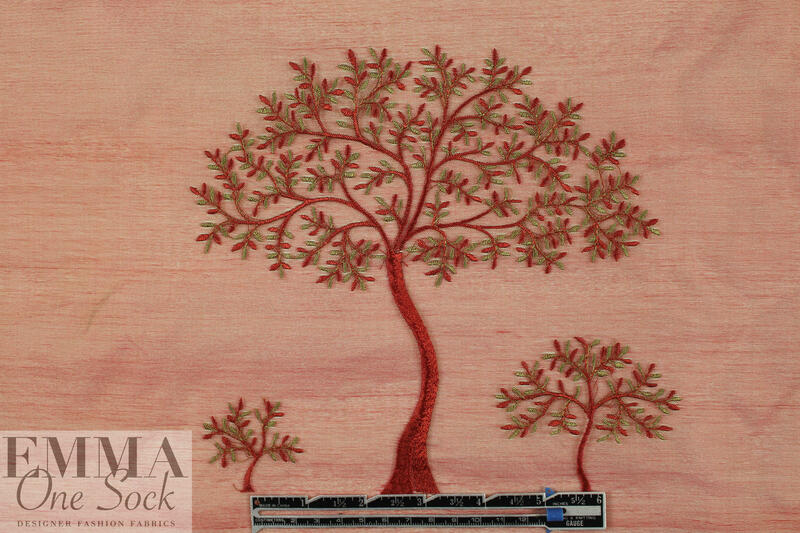 This embroidered organza is photographed on a white background, as well as also on the dress form to show the sheerness. 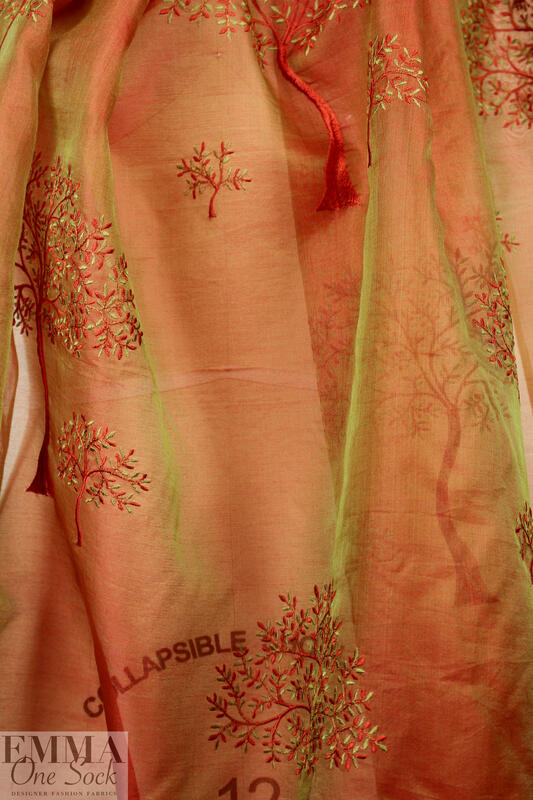 Use for any project calling for a sheer, dressy embroidered fabric with a more crisp drape. Some style will need lining or layering. Dry cleaning recommended.